Raphael Samuel’s book consists of three separate articles reprinted from the New Left Review written in the mid-1980s. His primary purpose for writing the book remains unclear, although it is common for political activists to put down in writing their understanding of events that have played a crucial role in their political development. Penned amidst a bitter faction fight inside the British Communist Party for political control the book does almost nothing to further our understanding of Stalinism. The book is part autobiographical, part “social history” and part “history from below”. It is almost hybrid. 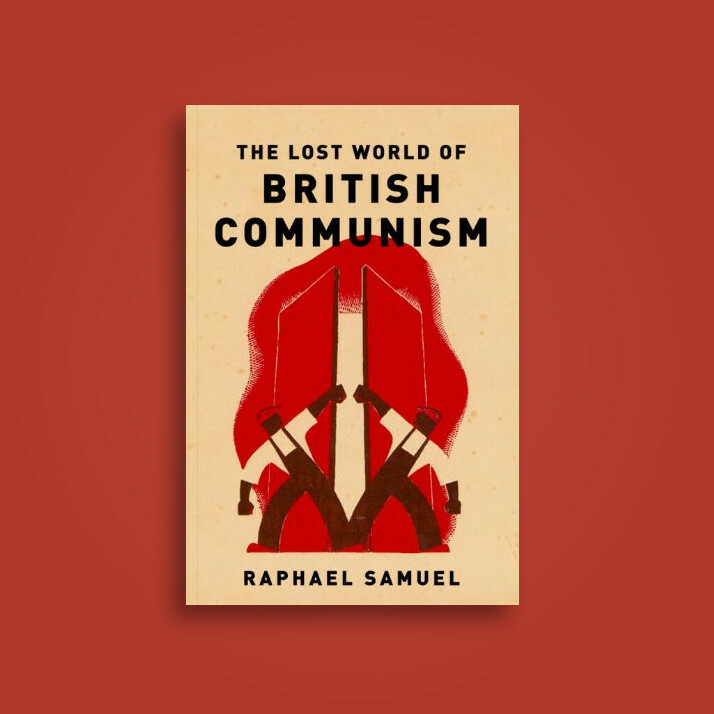 Most of the book takes the form of a polemic about Samuel’s life inside the British Communist Party. Given the political nature of his subject, the book is remarkably free of political analysis. He also has selective amnesia towards the betrayals of the Communist Party both in the USSR and Britain. Samuel had a very romantic view of his time in the CP and tended to see his party through rose-tinted spectacles. Its betrayals are glossed over. He says nothing of the Show Trials that were responsible for the murder of hundreds of thousands of old Bolsheviks. The countless betrayals of the working class by Stalinism remain untouched. A further deadly weakness of the book is Samuel’s failure to place his account of British Communism within its international context. This gives the book a one-sided feel to it. When mentions international events they are uninformed and simplistic. It is perhaps a little strange that while he had a disdain for the undisciplined nature various left groups and publications, he later joined Samuel missed the time when Stalinism had political control over the working class. Samuel was part of a historical phenomenon. Born in 1934 he had a relatively comfortable childhood and was educated at a private school. During his late childhood, he would have been schooled by his mother who was in the Communist Party about the defeat of Nazi Germany, continued global economic depression and the Second World War. His teenage years would be coloured by the continued rise of Stalinism, the further betrayal of the Russian revolution, and the rise to global eminence of American capitalism. The book contains significant autobiographical reminisces of Samuels parent's life inside the party. Their experience and his inside the party will strike a chord with any political activist whose party became their life, socially, politically, and morally. While membership of such a party does engender a strong sense of loyalty, Samuel’s point-blank refusal to criticise and draw conclusions from the betrayals of Stalinism is a severe weakness of the book. It is debatable to what extent Samuel was a Stalinist, but his refusal to criticise the "rights and wrongs" of his party certainly makes him apologist of their betrayals. He did exhibit a Stalinist like disdain for the revolutionary capacity of the working class and was extremely hostile to Trotskyism. As was said earlier Samuel laments about the time Stalinist parties had control of the working class. As Eric Hobsbawm states the book is “full of melancholy empathy for an irrecoverable past, Communism is as ‘a doomed, flawed but noble faith.”. This quote should be taken with a large pinch of salt, Hobsbawm also talks about the October revolution in the same way. Samuel use of anecdotes to try to explain complicated political and theoretical problems can only take you so far. He quotes a letter sent in 1926 from the party secretary in St Pancras to the London District asking for advice: "... Mrs Kingston, although she has passed party training, and is, therefore, a full member of the party, does not accept the materialist conception of history, and she believes that communism is founded on idealism and not on materialism. She is trying to form a group of people who think the same”. On hearing this, any orthodox Marxist would ask why my party is recruiting idealists. Is there something wrong with the method of the party. While it is essential to understand the political opinions of party members and people do make history Samuel’s approach was not an orthodox one. Alternatively, “In the social production of their life, men enter into definite relations that are indispensable and independent of their will; these relations of production correspond to a definite stage of development of their material forces of production. The sum total of these relations of production constitutes the economic structure of society — the real foundation, on which rises a legal and political superstructure and to which correspond definite forms of social consciousness. The mode of production of material life determines the social, political and intellectual life process in general. It is not the consciousness of men that determines their being, but, on the contrary, their social being that determines their consciousness”. Unfortunately, when Samuels left the party, he did not take this methodology with him. He took all the wretched ideological baggage from the Stalinists and transferred it into his new project the Universities and Left Review(ULR). While you could make a case for his tender years inside the CP, there is no excuse for transferring this ideological baggage into his later historical writing. During his time with the ULR, he and his associates had an almost umbilical link to their sister magazine the New Reasoner, founded in 1957 by the historians E.P. Thompson and John Saville. Samuel did not brood over his leaving the CP in 1956 he went straight into political activity. In November 1956, Samuel sent a letter to Stuart Hall suggesting they set up a magazine called ‘New University Left’, Hall accepted the idea, but the magazine was to be called Universities & Left Review. To gain support for the magazine which would orientate not towards the working class but to students, former CP members, fellow travellers and various other left-wing radicals Samuel sent letters to these forces appealing for money and articles. Both magazines were hostile to Trotskyism and favoured an “English Marxist” tradition to justify their opportunism. As Paul Bond writes “ New Reasoner claimed to be elaborating a “socialist humanist” version of Marxism, promoting the “British Road” advanced by the CPGB but carried out instead through the Labour Party”. Samuels insight into the rise of Thatcherism is at best pedestrian at worse deceiving and relied heavily on his partner in the ULR Stuart Hall. Hall and Samuel’s adoption of Cultural Studies as Paul Bond state “originated as part of an attack on revolutionary Marxism, directed above all against its contemporary expression, Trotskyism. The academic field sought to shift the focus of social criticism away from class and onto other social formations, thus promoting the development of identity politics. Its establishment, in the final analysis, was a hostile response to the gains made by the Trotskyist movement in Britain from the 1950s onwards”. He continues This was Hall’s preferred political milieu, and he never left it. Significantly, while editing Universities and Left Review, Hall stayed in the house of Jock Haston, whom he described as “a wonderful old Trotskyist”. In fact, Haston was by then a bitter opponent of Trotskyism. He had left the movement in 1950, explicitly rejecting the Fourth International, declaring in a resignation letter that “we have no right to claim political and organisational authority as the international leadership of the world proletariat”. Haston, the future mentor of various trade union bureaucrats, pledged his loyalty to the Labour Party, asserting that despite its “bureaucratic feature…it is one of the most democratic workers’ organisations in existence…the task is to loyally adhere to the mass party and seek to drive it forward on the road to the complete transformation of the system”. Healy’s initial response to the ULR was friendly, and he sought a dialogue with them and other New Left groups. The ULR’s hostility to Trotskyism soon became apparent. Samuel said “There has been an incredible mushrooming of inner-party groups. On the ultra-Left—the dissidence of Dissent—a dozen ‘vanguard’ parties, and as many tendencies and groups, compete for the honour of leading a non-existent revolutionary working class”. The knockback from the ULR did not stop the orthodox Marxists or Trotskyists in the Fourth International from doubling their efforts to gain from the crisis within the British Communist party. Healy continued to believe that Stalinism was a counter-revolutionary force. The SLL won prominent figures such as Cliff Slaughter, Tom Kemp, Peter Fryer and Brian Pearce out of the CP. They were able to double their efforts through the journal Labour Review and the weekly Newsletter to wage a political-theoretical offensive, leading to the formation of the Socialist Labour League (SLL) in 1959. Pseudo Left and the Lost Cause of Communism. The reviews emanating from the Pseudo Lefts groups of Samuel’s books are indicative of their relationship with the Stalinist movement. One review from Red Pepper Magazine said “In this book, Raphael Samuel shows in this wonderfully written history and memoir; its puritanical party members stood aloof from the workers and, overall, this attitude was returned in kind. The Communist Party is now part of history, and as the left reforms itself, it should be careful not to repeat the mistakes of this heroic but ultimately misguided tribe. 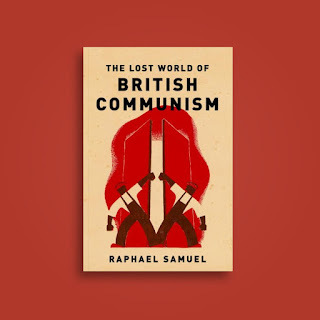 This one came from the former SWP member Ian Birchall, “Contrary to the foolish idea sometimes heard on the left that Communist Parties are external to the working-class movement, Samuel shows that the British CP had deep roots in the working class and that its membership held high moral ideals and showed great self-sacrifice. All this is true - yet it is also true that the cause they devoted themselves to was a deeply unworthy one. Samuel was no Stalinist”. Birchall’s party the Socialist Workers Party despite perfunctory attacks on the CP had a close relationship with Stalinism. It printed the flagship paper of the CP the Morning Star and was in the SWP’s eyes an important if misguided part of the working-class movement. Because of the broad political disagreement, I have with Samuels, it is difficult to recommend this book. This is not to say that Samuels was not a gifted historian and his books are probably worth a read. It is because this is such an inadequate analysis of his time in the Communist Party that it would be irresponsible to do recommended it to a wide audience without very deep caveats.